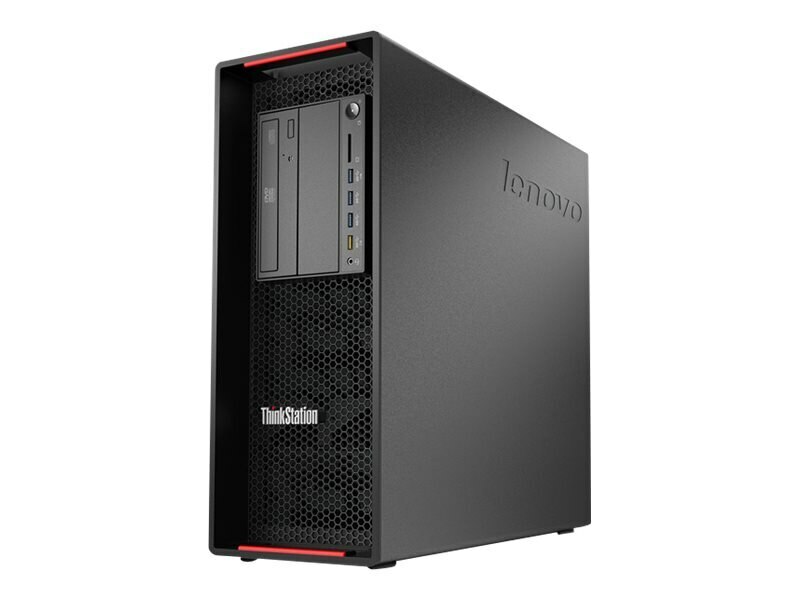 The Lenovo ThinkStation P700 features more x16 slots, the highest storage capacity in the industry, and support for interchangeable power supplies. Plus the innovative Flex Module and Flex Connector features allow for a new level of system customization. Patented tri-channel cooling with just 3 system fans and a direct cooling air baffle directs fresh air into the CPU and memory. ThinkStation P700 delivers new design and technologies to keep your workstation cool and quiet. 4GB (1x4GB) 2133MHz* Registered (RDIMM) ECC DDR4, expandable up to 192GB RDIMM. There are up to 12 DIMM sockets in total, with 6 DIMMs per processor. One slot contains a removable 4GB module; the others are available. * Installed DIMM runs at 1600MHz due to processor limitation. NOTE: RDIMMs and LRDIMMs are supported, but memory types cannot be intermixed. NOTE: If only one processor is installed, only half of the maximum memory capacity can be achieved. Genuine Windows 7 Professional 64-bit Edition is pre-installed, available through downgrade rights from Windows 8.1 Pro 64. NOTE: Flex Module supports one or more of the following options: 9.5mm optical/29-in-1 USB 3.0 reader/front IEEE 1394/front eSATA, or up to two optional front HDD bays. NOTE: When optional LSI RAID flex adapter or 9364-8i adapter is installed, each HDD bay (bays 1-4) can support two disk drives (1x 3.5" + 2.5" SATA/SAS SSD or 2x 2.5" SATA/SAS SSD). Integrated Intel i217LM GbE. Optional discrete Ethernet is available.